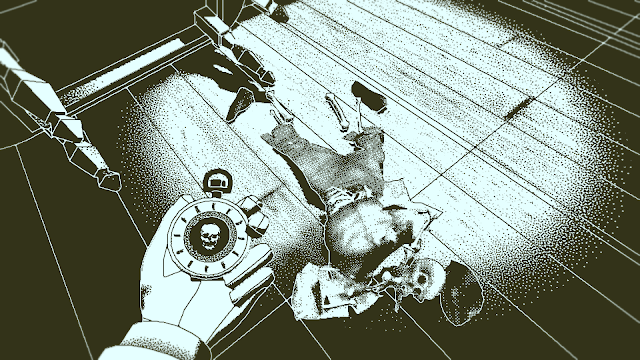 When you pick up the pocket watch in Lucas Pope’s Return of the Obra Dinn, you’ll be confronted with a rather curious message: memento mortem. The term literally translates to “remember death,” but its contextual meaning defies easy explanation. What precisely is Pope trying to communicate? You assume the role of an insurance adjuster in Return of the Obra Dinn. Working for the East India Company in 1807, your job is to investigate a merchant vessel which set sail for the Orient in 1802, but recently washed up without a living soul aboard. Armed with a few sketches, a crew manifest, and a pocket watch that can turn back time, you have to figure out exactly what happened. Your conclusions are summarized in a report which records the amount of insurance money owed to each of the involved parties. (The results of your inquiry are also copied into a logbook). In other words, your task is to ensure the smallest possible payout by finding fault and assigning blame. This kind of calculus lies at the heart of capitalism. Published for the first time in 1776, the main treatise on the topic, Adam Smith’s Wealth of Nations, dives into the details of things like management and accounting. The principal is that profit means maintaining a positive bottom line. Reduced to statistics, people often disappear behind the numbers and figures, though. The human cost of capitalism rarely gets recognized. Reminding you to “remember death,” Return of the Obra Dinn brings this fact to the fore in several distinct ways. The game contains a pretty cutting critique of capitalism. Gameplay revolves around the pocket watch. Provided that you’re in the presence of a body, this device allows you to observe the exact moment of a person’s passing. Why a pocket watch, though? Hiding behind the phrase “time is money,” the pocket watch has been a symbol of productivity for centuries. Pointing out that productivity can only be increased through efficiency, Smith argued that instruments of measurement were needed in the workplace. The pocket watch in particular became the technology which enabled the quantification of productivity in the form of statistics like “parcels delivered per hour” and “parts manufactured per minute.” The result was a kind of race against time where workers had to constantly “beat the clock.” People paid the price. 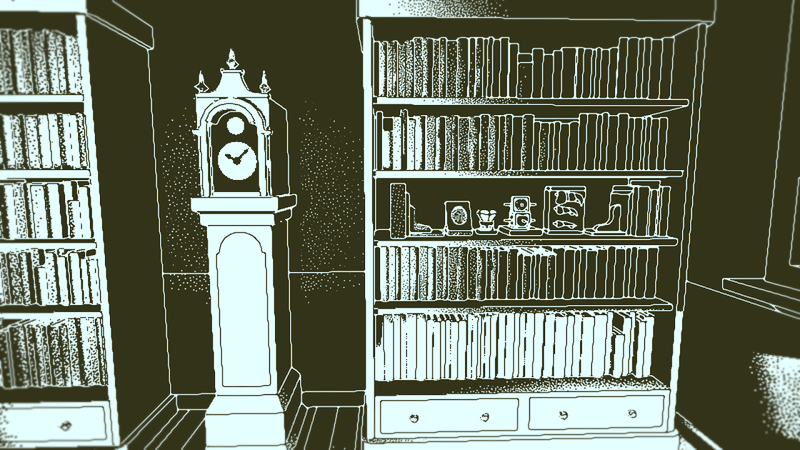 Playing on this development, Return of the Obra Dinn has you rather amusingly subject each member of the crew to the rigors of the clock as a means of determining the relationships of cause and effect which led to their demise. 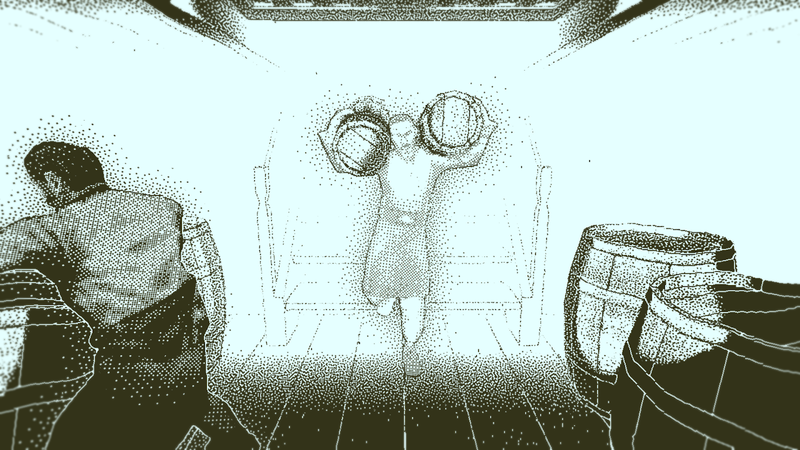 The art style in Return of the Obra Dinn is remarkable. 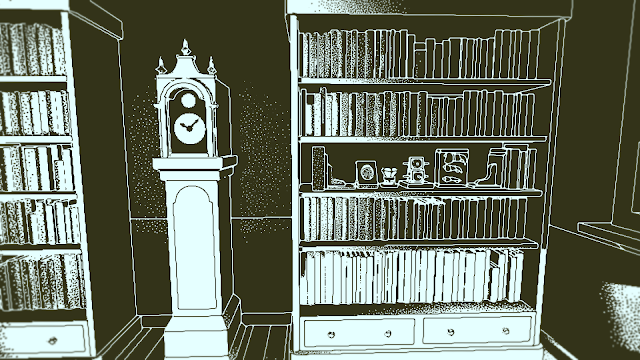 Adopting an aesthetic which mimics how early home computers like the Macintosh rendered graphics, Return of the Obra Dinn rather boldly eschews realism. The approach taken by the game is known as “dithering.” Displayed in the form of dots, sharp edges look like unbroken lines, but curved surfaces come out somewhat fuzzy and pixelated. The reason mostly concerns how they’re shaded. 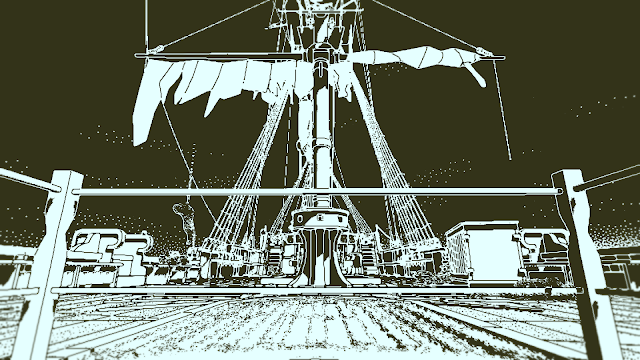 Since they have more curves than edges, the result is that people in Return of the Obra Dinn appear almost ethereal. You can’t easily determine their features. They look a bit like blobs from a distance, but pointillist paintings up close. How does any of this relate to capitalism? Turning people into shadowy shapes, the art style in Return of the Obra Dinn communicates the same sense of coolness and impersonality which prevails in the bureaucratic world of bean counting. 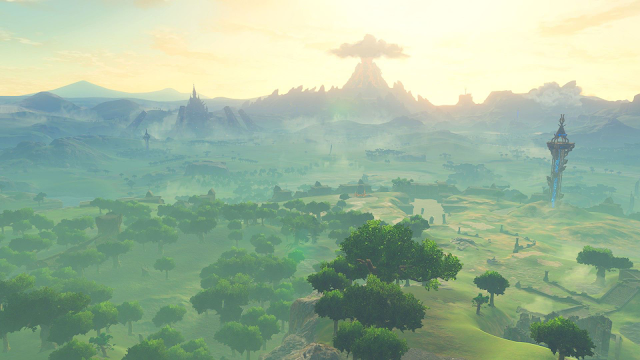 Spoiler alert: the following paragraph contains significant late-game spoilers. You’d be wrong to assume that Return of the Obra Dinn is about determining the fate of the crew. This part of your job is actually just legwork. The reason for your presence aboard the ship is really to figure out what sixty lives are going to cost the East India Company. This gets briefly spelled out for you at the beginning of the game, but it’s driven home hard at the end. After scrolling through several pages of claims and assessments in your completed report, you sign on the dotted line and send it back to your boss. You send the logbook along with it. The following scene presumably takes place in London. Sitting at your desk with a cup of tea, you’re presented with a parcel which recently arrived in the mail. Returning the logbook, your higher-up also hands over the missing piece of the puzzle which finally clarifies what happened to the crew. Your next move? Rising from the desk, you simply file away the logbook. Why exactly does Pope admonish you to “remember death?” Playing as an insurance adjuster, your explicit task is to ensure the smallest possible payout for the East India Company by finding fault and assigning blame. Your job certainly involves investigating a tragedy, but you clearly couldn’t care less about the play’s characters. Reducing them to statistics, you ultimately bury them in a sea of numbers and figures. What more cutting critique of capitalism could there possibly be than such callous calculus? With the message memento mortem, Pope is trying to communicate that we should strive to always keep people in the picture. In other words, Return of the Obra Dinn represents a quiet commentary on the human cost of capitalism.